75th Birthday. Elizabeth Montgomery, everyone's favourite witch, would have been 75 years old on April 15th. 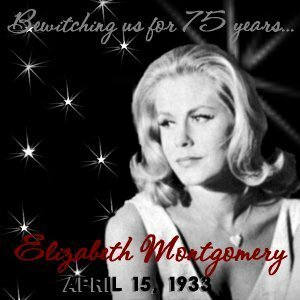 (15th April 1933 - 18th May 1995).. Wallpaper and background images in the Bewitched club tagged: elizabeth montgomery bewitched samantha stephens 75th birthday photo. I can't believe she would have been 75. I obviously didn't start watching until after she was gone but it's still hard to believe that she woul dhave been 75.